Motor museum | The headquarters of Toyota are located in "Toyota City", Japan. Around Toyota City the most important plants are situated as well. Yet the "Toyota Commemorative Museum of Industry and Technology" is located some 50 km away in the city of Nagoya. That's because Mr Toyoda (no typo) founded his first factory here in 1911. Autozine visited the birthplace of Toyota. The "Toyota Commemorative Museum of Industry and Technology" is a mouthful. In simple words it is a museum that shows how the Toyota company has developed itself. This is not a car museum (that's located nearer to the head office), but a museum that focusses on the development of technology and production methods. Mr Toyoda started his career in 1896 developing and building looms. At first these were simple contraptions (the word "machine" isn't applicable yet) made of wood. Because the construction is so simple, the visitor quickly understands the inner working of a loom. While progressing through the museum (and through time!) looms get more complicated, yet by understanding the first generation it is possible to understand the working of the modern systems. In due time the looms got smarter and smarter. For example, the "Type G" (1924) could detect mechanical failures that would now require a computer. Empty spindles were now automatically replaced by new ones. This meant less people could produce more goods. The guide proudly tells that in the olden days Japan manufactured the highest quality fabrics in the world. In fact, British inspectors came to Japan to see the factories in order check that the workers were not being exploited. To their own surprise the inspectors had to conclude that Toyoda's machines were far superior to English made examples. Do take a look at the circular loom in the central hall. With a traditional loom the spindle has to go back and forth and that means one empty and thus unproductive move. The circular loom makes a constant move, meaning no time is wasted. This is the very first sign of the unique way of approaching business that is now know as "The Toyota Way". Of the 95 looms on display, most are still functioning and the personnel are happy to give a demonstration of any of them. The language barrier doesn't have to be a problem, a friendly nod or an inquisitive look is often enough, after which the demonstration itself speaks a thousand words in any language. Soon after the infamous inspection, a British company bought the patents to Toyoda's unique loom. At the same time, Mr Toyoda noticed that the market for looms was declining, while a new market for motorcars was emerging. Around that same time a massive earthquake took place (Kanto, 1923), which made the trains useless because all of the tracks were damaged. In 1929 Toyoda junior rose to the occasion and used the money from the sales of the patents to develop cars. At that time Ford and GM already had factories in Japan. Toyoda bought those cars as research objects and based upon that knowledge he developed more efficient vehicles. The Second World War put the development on hold. All raw materials and all manpower was used to produce weapons. 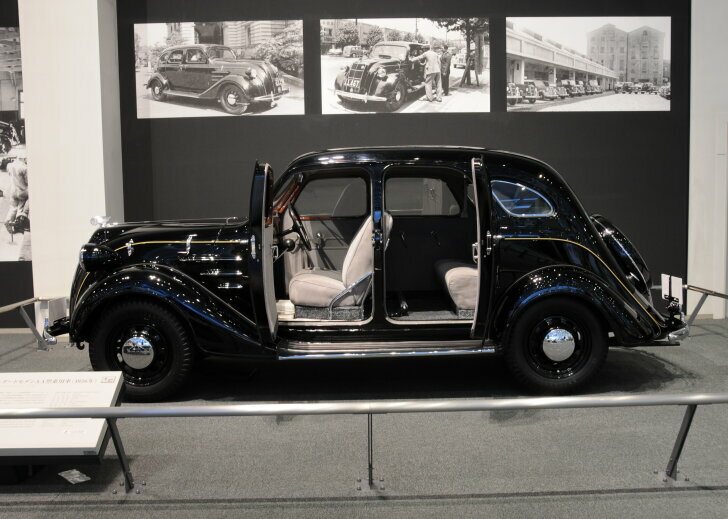 In 1936 the "AA", is the first production model of Toyoda, was finally introduced. The only one still in existence is in the Dutch Louwman Museum; here in Nagoya a replica is shown. When "Toyoda" started building cars for the common people, the name was changed into "Toyota". This is easier to pronounce and requires less strokes to write in Japanese. At the "Toyota Commemorative Museum of Industry and Technology" it's not about the car itself, but about the production of cars. 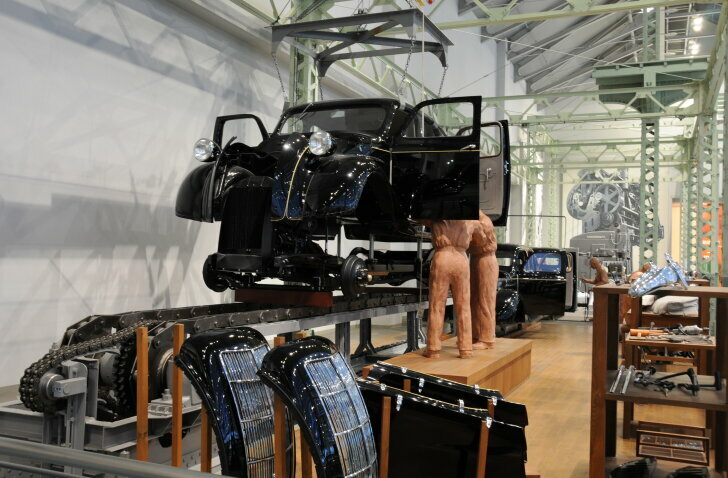 For example, the first production line ever has been recreated to show how cars were manufactured in the '30s. This first factory was located in "Koromo", the city that was later renamed "Toyota City". 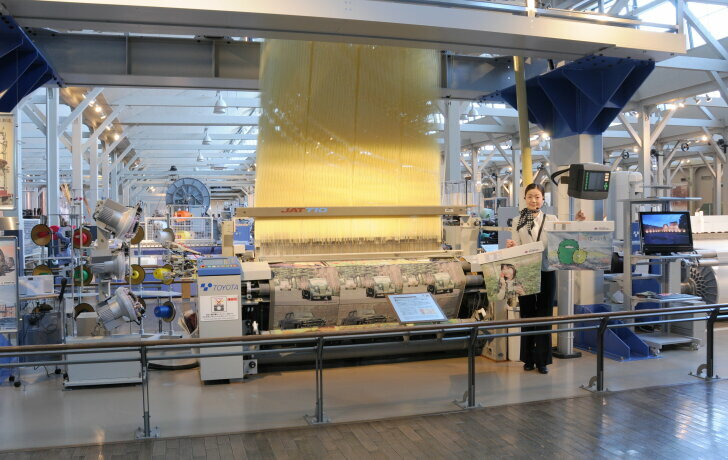 The plant in Nagoya only produced looms. The museum takes a big leap in time and shows a factory from the '80s and '90s. Even a 600 ton press has been transported from Toyota City to Nagoya so the visitor can press the button and experience the enormous thunder and shaking of the floor when a piece of raw material is pressed into the shape of a body panel. The first (welding) robots from the '80s are also still on active duty in Nagoya. Do not expect modern machines in Nagoya. Toyota's unique way of manufacturing ("The Toyota Way") is still a closely kept secret and no matter how modern the machines on display look, they are in fact at least 20 years old. 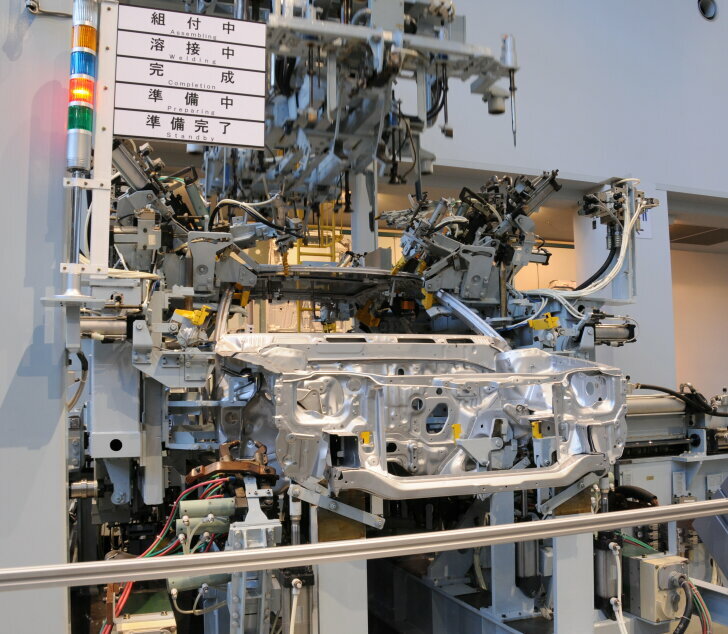 Next to showing how a car is made, the Nagoya museum shows the inner workings of a car. Detailed models show how tyres, steering racks and underpinnings have developed over the years. Improvements in the field of safety and fuel efficiency lower the cost of a car, making them more affordable for a larger audience. 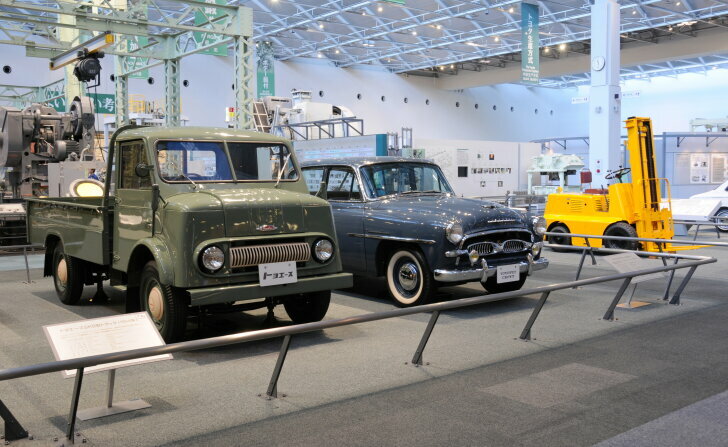 This is why the "Toyota Commemorative Museum of Industry and Technology" doesn't show Toyota's most exciting cars, but rather the cars that made the biggest steps in technology. Examples are the first Corolla (affordable technology for the masses) and the first Lexus LS (a car so refined it needed a new brand name). 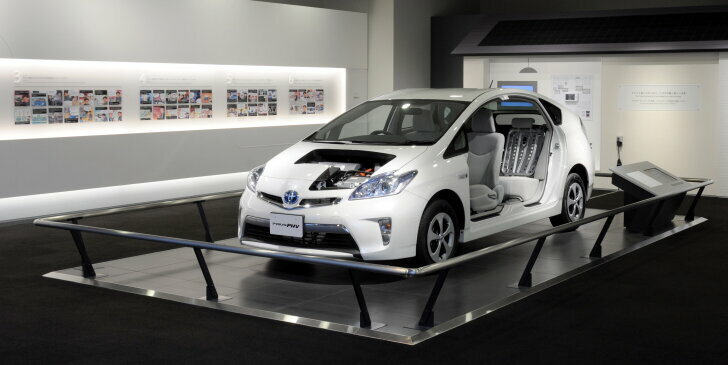 Of course, modern technology has not been forgotten, therefore the tour ends with Toyota's current state-of-the-art model: the Prius plugin hybrid. All information in the museum is primarily in Japanese, with English abridgements. Those who cannot read Japanese will therefore still learn a lot in this museum. To see everything, an hour suffices. 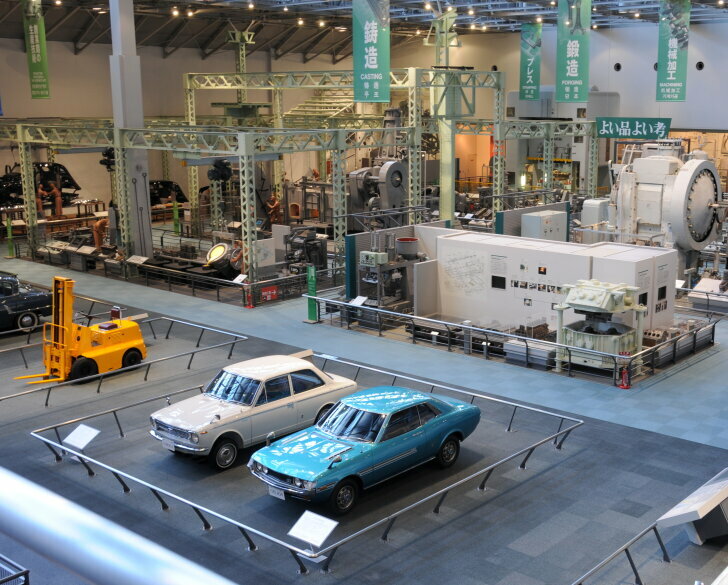 To read, experience and try everything, one preferably takes a day to fully enjoy the "Toyota Commemorative Museum of Industry and Technology" in Nagoya. 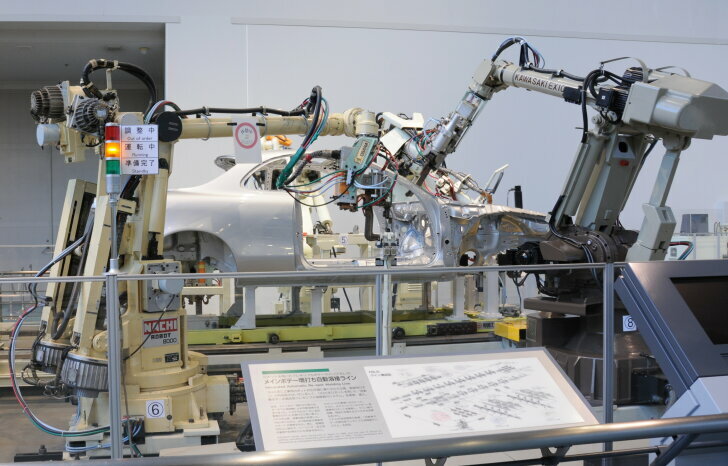 Next to several car museums, Toyota has a museum dedicated to technology and the way cars are made. 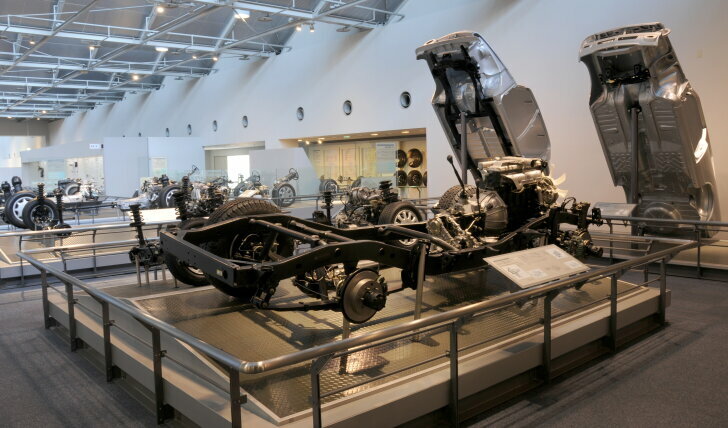 This museum therefore doesn't just show how the Toyota brand has developed from loom to Lexus, but also how the Japanese motoring industry has developed. The "Toyota Commemorative Museum of Industry and Technology" offers a nice change from the usual car museums. They merely show cars, while in Nagoya one can learn how car factories and car technology have developed throughout the years.